Forty works have been selected by museums and private collections to offer the public a refined distillation of this exceptional moment in the history of European art. From 9 th of February to the 10 th of June 2018 at Palazzo della Meridiana will open a new art exhibition curated by Anna Orlando. The exhibition wants to tell on extraordinary and unique painting season for Europe. 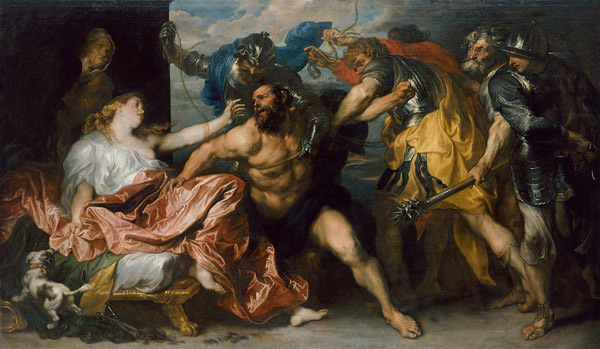 The exhibition will address the various topics related to the time when the young Anton van Dyck, Rubens' favorite pupil, who had already depopulated in the Superb with important public and private commissions, arrived in Genoa from Antwerp in 1621, just over twenty years old. He remains there until 1627 with continuous movements in the rest of the Peninsula. Eight precious paintings by Van Dyck, for an essay of his wonderful portraiture art, but also to understand how he dealt with mythological and sacred subjects leaving an indelible mark on Genoese painting. Several artists will be exhibited including Anton Van Dyck, Gian Battista Paggi and Domenico Piola. Opening hours: from Tuesday to Friday 12-19; Saturday, Sunday and holidays 11-19.